The 21st century has been good to the textile industry. Global clothing production doubled between 2000 and 2017 to surpass 100 billion items annually for the first time in 2014 – that’s equivalent to 14 new items for every person on the planet. Leading brands such as Zara, H&M, Nike and Adidas have expanded their supply chains to keep up with demand. China is the world’s largest producer and exporter of textiles and clothing, but while “Made in China” products are sold around the world, the pollution from their manufacture doesn’t leave the country. The call to clean up - Textile manufacturing uses enormous quantities of potentially harmful chemicals. Large quantities of dyes, additives and stabilisers are used to treat textiles, which then enter the environment through wastewater. 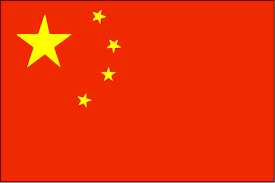 According to the Chinese Textile Industry Association, 25% of global chemical output is used in the textile industry. The United Nations Environment Programme’s Global Chemicals Outlook report points out that 42% of that usage is in China. In 2011 Greenpeace published Dirty Laundry, a report that called on consumers worldwide to demand change in the fashion industry. The report showed wastewater in textile industry zones in Guangdong and Zhejiang contained chemicals that cause cancer or are harmful to reproduction. Supply chain investigations linked the products from those factories with global brands, including Adidas, Nike, H&M and Zara. Just several months later a number of Chinese non-governmental organisations, including the Institute for Environmental and Public Affairs and Friends of Nature, published a report on fashion’s polluting practices, again taking aim at global mega-brands and warning of “severe breaches of regulation in their Chinese supply chains, with a grave impact on China’s water environment”.